Break up the chocolate and place in a pyrex bowl. Place this bowl over a pan of simmering water – make sure the water doesn’t touch the bottom of the bowl or the chocolate may seize. 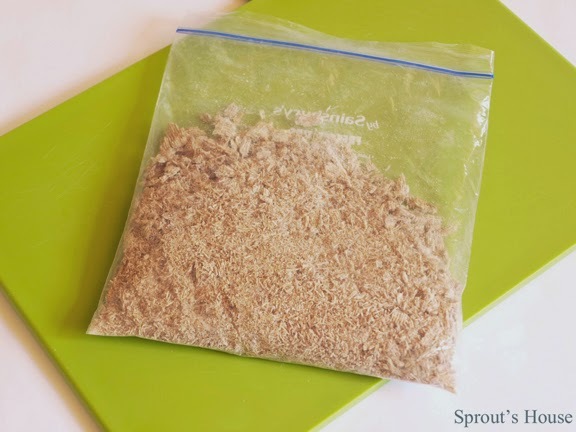 While the chocolate is melting, crush the shredded wheat by putting it into a plastic food bag. Seal and hit with a rolling pin until all the ‘pillows’ are completely destroyed!! 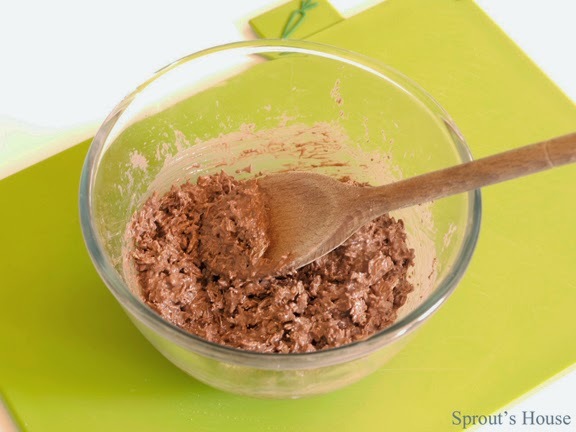 Add the shredded wheat to the melted chocolate and stir well so that the shredded wheat is completely covered! Spoon this mixture into cake cases and then press the back of a teaspoon into each case to create the basket shape. 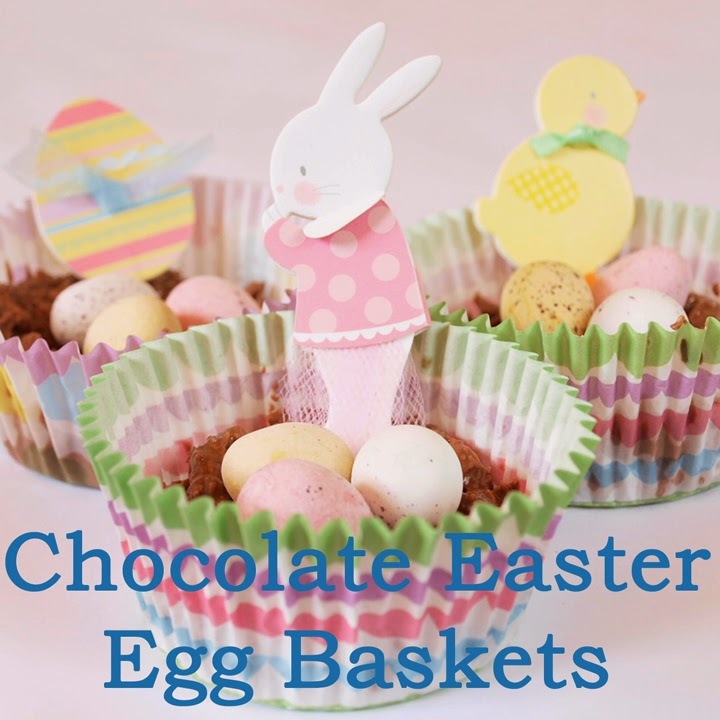 Add 3 mini eggs to each nest plus any other decorations that take your fancy! (For UK readers, our decorations are from Waitrose!) Place in the fridge for 1-2 hours to harden. Take out 15 minutes before eating. Enjoy! What are you cooking over Easter? Share your ideas in the comments below. This is such a cute and yummy idea. Love it. This is so cute! 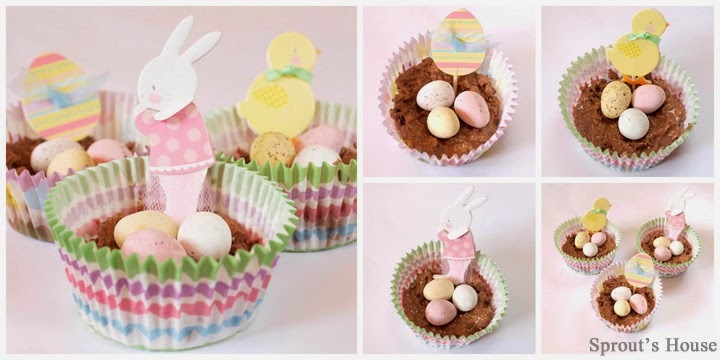 I may have to make these today! Oh these are adorable! We may just have to try them out :) Thanks for joining us this week for Social Media Sunday! Those are so cute. Love your decorations for the treats. Please come share at the Anything Goes weekly linky, if you have not already.